Westfield House is a College of Liberal Arts & Sciences and a House of Theological Studies for the Evangelical Lutheran Church of England (ELCE). It is also a centre for theological research and learning for scholars and students from around the world. 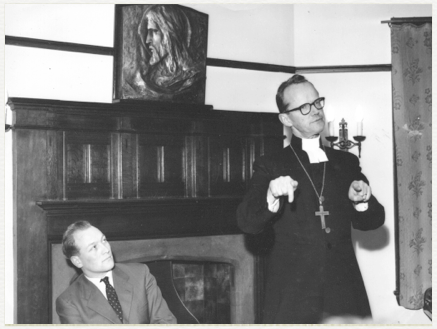 Bo Giertz, Bishop of Gothenberg, delivering the inaugural lecture of Westfield House in 1962. The House itself was built around the middle of the nineteenth century, as an elegant Victorian home, and retains its historic character, despite having been extended to meet its present function. It was inaugurated as a house of theological studies on 22 February, 1962, with Bishop Bo Giertz of Gothenberg, Sweden delivering the inaugural lecture. From its earliest days it became clear that Westfield House was an academic centre with value reaching far beyond the ELCE. Today it continues to develop as a Liberal Arts and Sciences college in the Lutheran tradition, helping its international body of students to develop patterns of lifelong academic, personal, spiritual and professional growth. In addition, Westfield House provides training and awards its own Certificates for Lutheran ministerial and diaconal candidates, church workers and laity throughout the United Kingdom, and assists in the training of students in partner churches and seminaries world-wide. It maintains very active Study Abroad Programmes, which allows students from partner institutions around the world to make progress towards their degrees while studying here in Cambridge. 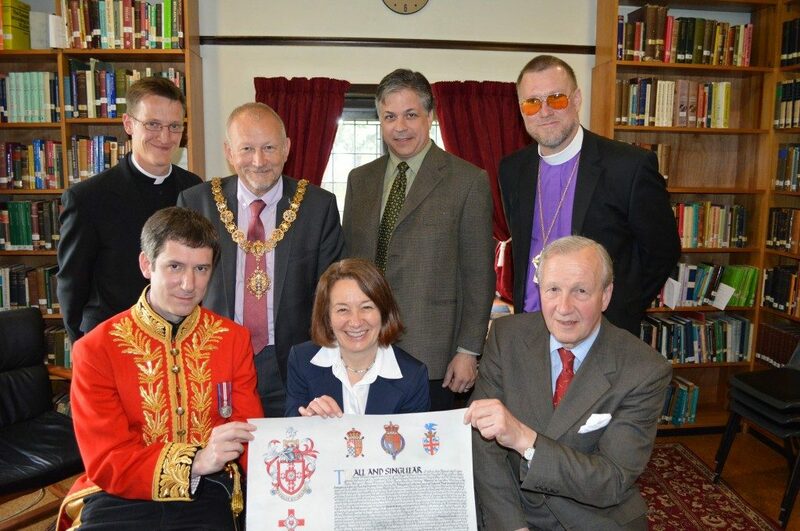 Westfield House received Letters Patent granting its Arms, Crest and Badge at a presentation ceremony on 22 April 2014 in the same library where Bishop Bo Giertz had delivered the inaugural lecture 52 years earlier. 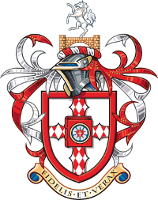 In November 2013, Westfield House was granted Affiliate Centre status for preparing students for the Bachelor of Divinity, awarded by the University of London. In September 2018, Westfield House became a full member of the Cambridge Theological Federation, giving students nominated by partner churches and seminaries access, supervision and support for pursuing the Bachelor of Theology for Ministry (BTh) and Diploma in Theology for Ministry (DTM), awarded by the University of Cambridge as well as several postgraduate programmes. Through short courses and training weeks Westfield continues to contribute to the task of raising awareness of the Lutheran theological tradition both at home and abroad.